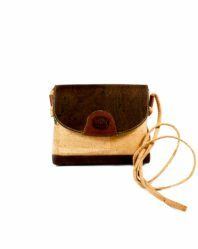 A small rectangular cork bag with rounded bottom edges. 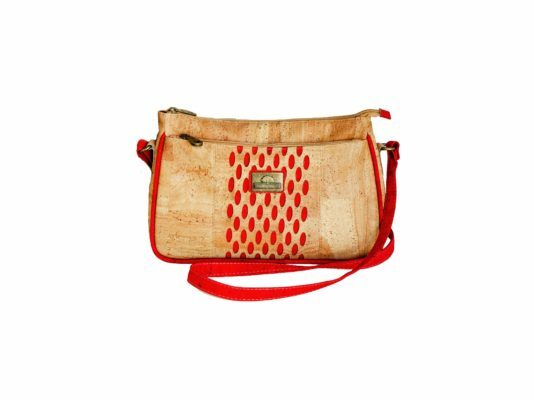 It has one long shoulder strap and two zippered compartments. The size is 30 * 20 cm. On the outside there is an oval-shaped red pattern and a metal label. A red edging goes around the perimeter of the product. The bag is light, water resistant, and easy to clean with warm water and soap.